The Huston Foundation, a private family foundation, was incorporated as a Pennsylvania non-profit corporation on December 12, 1957 for federal tax purposes. The Huston Foundation was established by Charles Lukens Huston, Jr. and his sister Ruth Huston, co-founders and principal donors as a tribute to their parents, Charles Lukens Huston, a Protestant Evangelical Christian philanthropic industrialist, and Anne Stewart Huston, a Protestant Evangelical Christian community leader. 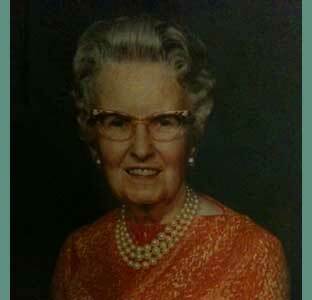 Ruth Huston, 1900-1982, served for over half a century as a Protestant Evangelical Christian missionary in the Appalachian Mountains of eastern Kentucky, and concurrently served as a director of the Lukens Steel Company in Coatesville, Pa. In Kentucky, she founded a summer Bible camp for children, taught Bible studies, promoted Christian education, and allocated most of her income to the Lord’s work, both nationally and internationally. Miss Huston was a trustee of Bryan College and Bob Jones University. She was conferred the Honorary Doctorate of Letters degree from Bryan College and Pikeville College. She authored several books including God’s Timing and Acting like Christians. Miss Huston was called upon on numerous occasions to speak publicly about her missionary services and business acumen. Charles Lukens Huston, Jr., 1906-1982, was an active supporter of educational, community, humanitarian, and faith-based organizations. He was founder of several family and children service organizations including Health and Welfare Council and The Family Services, both of Chester County. As President and CEO of the Lukens Steel Company he founded the Coatesville Opportunity Council on Low Income Housing. As a recipient of the prestigious Silver Beaver award from the Boy Scouts of America, it was evident that Mr. Huston was a champion of developing leadership qualities in children. His own leadership abilities benefited major university, bank and corporate boards. These included Eastern University; Drexel University, where he was conferred the Honorary Doctorate of Letters degree; Marine Midland Bank of New York; American Iron and Steel Institute; and the International Iron and Steel Institute. 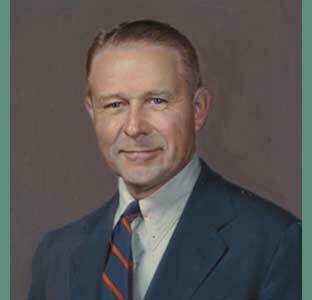 Following the passing of its founders, the Foundation continued to grow both in financial assets and family interest. The only income providing for operating expenses and grants to charity is derived through sound investments in the securities market. Therefore, securities market fluctuations have a direct impact on the Foundation’s expenditures and grants from year to year. The widow of Charles L. Huston, Jr., Nancy G. Huston, served as the Foundation president from 1982 until her death in 2002 — leaving her three children and five of the grandchildren to carry out the purposes and interests of the founders. Charles Lukens Huston Jr. and his sister, Ruth Huston are the descendants of the early American heroine, Rebecca Lukens.